Find out how it is easy to use more than one size foil quill in one project. March 16, 2019 .Reading time 14 minutes. This tutorial will show you the basics of using the We R Memory Keepers Foil Quill to create beautiful images for your projects! 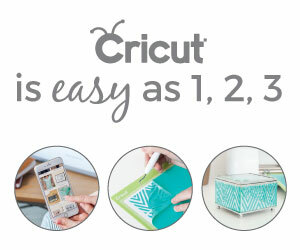 If you are just getting started with your new Cricut, here is a quick and easy project that will help you build your confidence. The Love Card Valentine is from the Creative Everyday Cards image set in Design Space and is free to cut. I needed a special card for a special birthday, and this Dreaming Tree Butterfly Pop Up Card was perfect for the occasion. It’s impressive, but surprisingly easy. This week’s free images in Design Space are from JGoode Designs – Penguins. Here’s a quick and easy project you can make with them. This Joy Tag is a Ready to Make project that only takes a few minutes to do!